Many patients have yet to hear, much less benefit from, IV sedation dentistry, but sedation dentists are working toward turning the tides! IV sedation is, in fact, becoming the primary choice among patients with difficulties in dealing with dental needles in particular and dental procedures in general. While IV sedation dentistry is often termed as sleep dentistry, it is actually a misleading exchange of terms for many reasons. 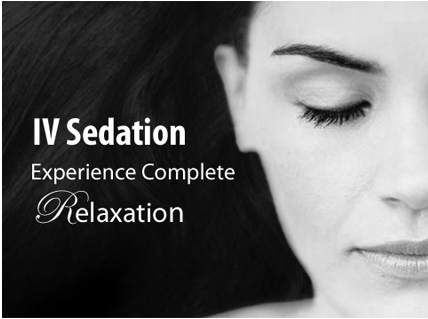 For one thing, IV sedation induces a state of deep relaxation, not of being put to sleep as is the case with deep sedation. Dentists do not exactly put their patients to sleep even with surgical procedures like wisdom tooth extraction and root canal therapy. For another thing, the drugs used in IV sedation dentistry cause partial or full memory loss (i.e., amnesia) during the period when the sedation drugs first kick in until the time it wears off. Many first-time patients of IV sedation dentistry also think that the intravenous needle is immediately placed into the vein, a misconception that prevents many patients from undergoing IV sedation because of their fear of needles. Fortunately, this is not the case in IV sedation dentistry cases. A numbing agent is applied on the area (i.e., hand) where the needle will be inserted into the vein. This will significantly, if not completely, eliminate the sensation of being pricked with the needle. Keep in mind that the drugs used in IV sedation dentistry are not painkillers although pain-killing drugs may also be added in a few cases – these are actually anti-anxiety drugs that induces the state of deep relaxation and amnesia. But the patient – you, for example – must still be numbed before the dentist performs further steps. IV sedation dentistry means that the drugs will be injected into the vein – IV comes from the word intravenous, which means through the vein. Your dentist will insert an extremely thin needle into your vein close to your skin’s surface; the vein can either be on the arm or back of your hand while the needle will be wrapped in a soft plastic tube after insertion. Your dentist will then slide out the needle, which will leave the soft plastic tube in place. You will then be administered the drugs via the tube, which will stay on during the entire procedure. Your pulse and oxygen levels will be measured with a pulse oximeter while your blood pressure will also be monitored before and after the procedure, a must in IV sedation dentistry. These are safety precautions for your own sake. IV sedation dentistry is becoming increasingly popular because of its benefits including the rapid onset of the drugs, the customisation of the drugs for tailored level of sedation, and the reduction of the gag reflex, among others. To put it simply, this is the option for patients who want to avoid the literal and figurative pain of being in the dentist’s chair.